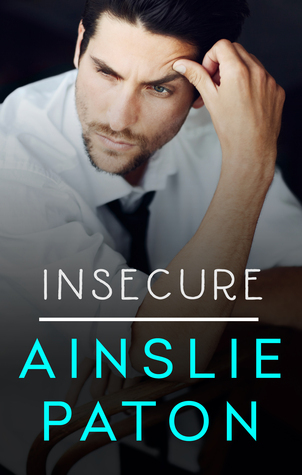 Insecure by Ainslie Paton is a deeply satisfying, intense read. I loved the characters, the pacing of the plot and the way in which I became acutely emotionally engaged in the outcome for the main characters. Jacinta begins out as a rich business woman, powerful and wanting control. Yet within, how secure is she really? Her step-dad holds the power and she is just a chattel. Her parents died when she was young and when she says "No one ever holds me" to Mace, it pained my heart. When her world disintegrates around her, there are choices to be made. How will she be as their story closes towards the end? How will she find balance, security and passion in and for life? It was very easy to fall for Mace, he had me at 'he didn't do clever banter'. He's an IT geek, caught up with his desire to bring to birth a special piece of software that could be the next best thing. He's a bit of a maverick, he'll dance to no one else's tune. Yet he has a soft side, a deep love for his grandmother, Buster who has loved him and taught him what is real in life, and even has him reading romance novels to her. He has a best mate Dillion, they've grown up together, worked together, dreamed big. Can their friendship last the distance, weather all the ups and downs as they wend their way through the dangers in the big world of business? As the themes of success and failure, balance and imbalance, loyalty and blind ambition, hurt and forgiveness played out I was deeply engrossed with what was happening. I smiled and sighed, despaired and cheered as Jacinta and Mace found out for themselves what really mattered to them. I was reminded of the parable of the treasure hidden in the field, where the character gives up everything and buys the treasure. In the end they both have what they treasure. To find out what that is you'll have to read this book for yourself! 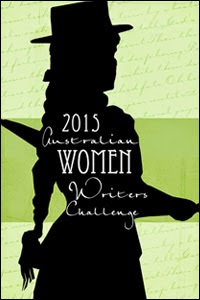 Ainslie Paton is a favourite Australian author for me, I'll eventually read almost all that she writes. I hadn't heard of this book or this author but I'm going to have to look for her. This sounds like a lovely read. I especially love the sound of Mace. Thanks for sharing! This is going on my TBR. I found her by choosing one of her books on NetGalley, never having heard of her. It was one of those requests that worked out really well. Do indeed, and check out some of her other books too! Just saying! Mace sounds very lovable, another one to check out. Lovely review Kathryn, I'm glad you introduced me to Ainslie Paton's writing!